I try to keep the process as simple as possible. We meet at the property to discuss your wishes, and I provide some initial ideas. A one hour consultation fee is charged. After our meeting I will send you a detailed design contract for the hours needed for me to complete your project. The consultation fee is deducted from the final fee. I return to photograph and take measurements to start the design. In some instances I will email you “Concept” progress drawings for you to review. 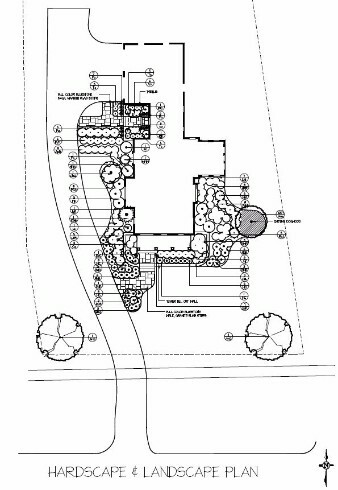 We review the CAD drawing detailing your project and plant selection photos. I will review your project with one of my preferred installers or your installer to get pricing. Depending on the complexity of the project, I am available for site visits to be certain the design is being implemented as planned. A walk through is scheduled to be certain everything is as you hoped for! If you can provide accurate site information and photographs, I can help you even if you are not in my area. Please call me to discuss the logistics and project details. I have worked on many projects in the New England region. Color rendered plans and 3D models are available by request.